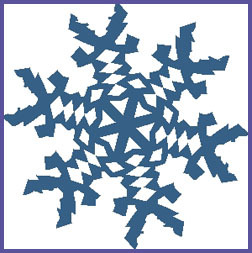 We found this fabulous website... "Make-A-Flake" snowflakes. We had to pass it along to you - perfect for the kids. They can spend hours cutting out snowflakes - and the best part? It's all on the computer - no tiny paper to pick up. You can print, email and post your flake.